Families with children birth to preschool age are welcome to join us for Read with Me Storytime. 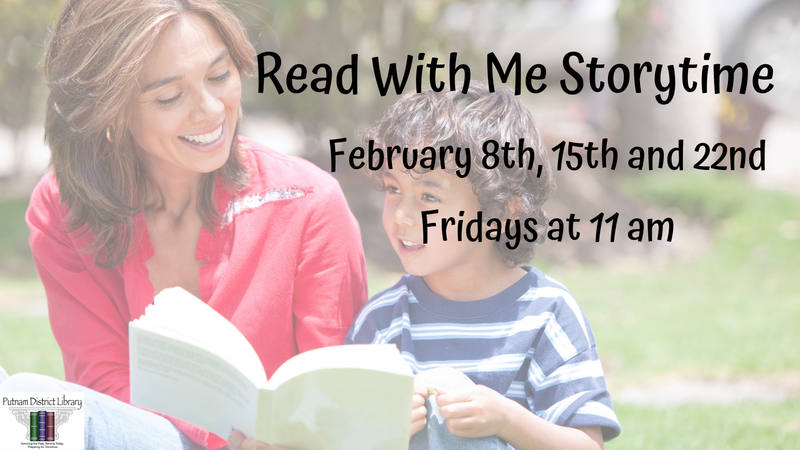 Three weeks out of each month Read With Me Storytime will be held on Friday mornings at 11am. Age appropriate literacy skills specifically for babies, toddlers and preschoolers will be featured throughout each Storytime.